These free Excel invoice templates will allow you to request payment for your services. While some people get paid automatically, others need to request payment by sending out a bill. Whether your business is in consulting, sales, construction, or freelancing, invoices are an essential tool for accurate record keeping, meeting your bottom line, and communicating with clients. While you could create an invoice template from scratch in Excel, it might not make sense to reinvent something that you can get for free. There are a ton of Excel invoice templates available that allow you to produce professional, customized invoices that you can modify to suit your various services and clients. Whatever the size or nature of your business, it’s likely that you’ll be able to benefit from the functionality and streamlined design of these different invoices. And because the calculations are automatic, Excel invoices are much simpler to use and more accurate than the ones you’ll get from Word. If you’re looking for free Excel invoice templates, you’ve come to the right place. We’ve put together a fairly exhaustive list of 57 free Excel invoice templates that you can download and use for just about any purpose. Once you’ve found a template that meets your needs, you can customize the design by inserting a logo or choosing different colors. These templates also allow you to adjust the tax rates or make other changes to suit your business needs. These invoice templates are compatible with just about every version of Excel unless otherwise stated. Even better, you can quickly convert them to a PDF to send to your clients. If you don’t find what you need in this list or run into any trouble with formatting, Excel Chat is always standing by to help. 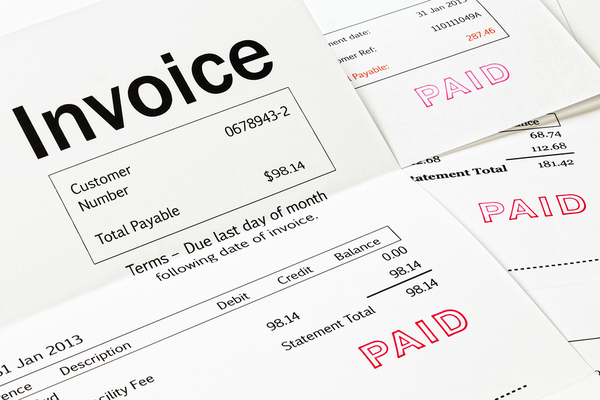 If your business needs to bill clients and keep records, these invoice templates can help. If your business aims for simplicity in its billing, there are plenty of free Excel invoice templates that can help. You might want an invoice that just lists an item and an amount due, or that includes a few other features. Here are several options. 1-3. Microsoft Office offers a free basic invoice template for Excel. This is about as simple as you can get, with areas to enter your business info at the top and then a description and amount due on the invoice. There is also a free basic invoice with unit price from Microsoft that includes columns for quantity and unit price, with automatic calculations. Another option from Microsoft is the free simple invoice with tax calculation that allows you to change the tax rate charged for goods or services. 4-5. Smartsheet has a few simple invoice choices as well. Its free Excel simple invoice template has sections for an item description, amount, subtotal, tax, shipping & handling, and total due. It also offers a free billing invoice template that includes quantity and unit price. 6-24. Hloom is a website that offers free resume and Microsoft office templates. It provides readers with 19 free Excel invoice templates. These are all essentially the same in function, but you can choose which style and format appeal to you the most. Each invoice template has a column for item number, description, price, quantity, total, subtotal, taxes, shipping/handling, and total due. 25-30. Invoice Simple offers six different styles of their free simple invoice template for Excel. These have spots for quantity and unit price. Each of the styles has a place for your company logo and most feature a different primary color. 31. Zoho also gives its readers a free basic invoice template for Excel. It has space for an item description, quantity, unit price, and amount. There is nothing for taxes or shipping/handling, however. 32-36. FreshBooks wants you to use their paid accounting program, but they also provided readers with five different free invoice templates for Excel. These are all basic templates that have some minor differences in appearance and formatting. 37-38. Vertex42 offers two free simple invoice templates for Excel. 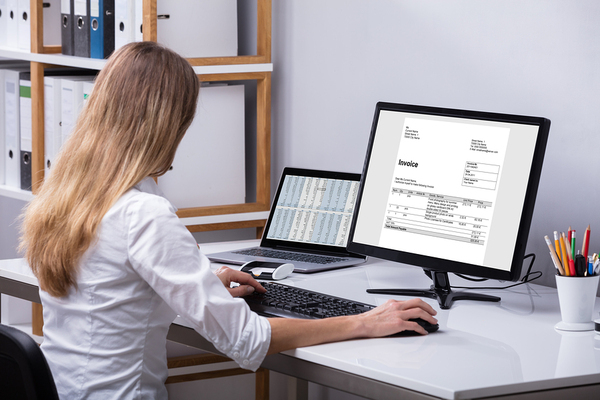 The first free invoice template allows you to enter an item description and amount, and then check whether or not that item is subject to taxes. The other simple invoice template has only columns for the item description and amount due. 39. Spreadsheet123 has a free simple invoice template that has columns for your item description and amount, and then taxes (you can change the tax rate), shipping/handling, and a discount. Excel invoice templates can be customized to reflect your business brand and services. If you are a consultant, freelancer, or provide some other service for which you’d like to be paid, your invoice might look slightly different than the simple invoices listed above. These free service invoice templates are customized for business owners that deliver services instead of products. 40. Smartsheet offers a free service invoice template for Excel. You’ll have a column to describe each service as well as the number of hours worked and your rate per hour. There is also space for any discounts and your tax rate. 41-42. Microsoft Office has several options. The simple service invoice for Excel is free, which includes your hours worked, rate, and taxes. There is another free service invoice that the option of charging by the hour or putting in a flat fee for a service, as well as a discount. 43-44. Vertex42 offers several service invoice templates. There is the invoice with hours and rate template and the consultant invoice template, which is more detailed. 45. Spreadsheet123 has a free service invoice template for Excel. This is a simple form that allows you to enter each service and the labor or service charge as well as taxes and any discounts. If your company exports goods internationally, you’re going to need a commercial invoice. This is a template that includes much more information than the ones already listed because it is also used as a customs declaration, stating the value of the items being shipped. 46. Smartsheet offers a free commercial invoice template for Excel that will meet any company’s needs. It has columns to enter the country of origin, quantity, type of packaging, full description of goods, Harmonized System (HS) codes, weight, unit of measure, unit value, total value, freight cost, insurance cost, and the shipper/exporter information. 47. Microsoft Office has a commercial invoice template for Excel that free. It has some of the same elements as the one above, but it is not nearly as detailed. A pro forma invoice will describe the value of a transaction or project prior to its completion. These types of invoices are commonly used when two businesses first begin working together as well as for international trade. The invoice not only describes the terms of the deal but can also be used to expedite shipping and customs. 48. Vertex42 has a free pro forma invoice template for Excel that includes detailed shipping information as well as various fees such as those for freight, taxes, insurance, and inspection. 49. Spreadsheet123 also offers a pro forma invoice template for Excel that is free to download. It has space for your shipment, export, billing, and terms of sale details. 50. Smartsheet’s free pro forma invoice template has a ton of detail for anyone that needs to bill upon partial completion of a project or for goods that are being shipped internationally. Excel Chat is available to customize invoice templates and provide troubleshooting assistance. As a sales or service provider, you can give clients a purchase order template to make ordering easier. Or, you can use one of these templates to reduce the time and effort required to place orders from your vendors. 51. Smartsheet offers a free purchase order template with space for you to enter the item number, description, quantity, unit price, and totals. 52. The free Excel purchase order template from Spreadsheet123 is similar, but it also provides space to put in a discount at the bottom if this is something that your vendors provide. 53. Vertex42 has a free purchase order template with price list. The columns in the purchase order include the item #, description (from a drop-down box), quantity, unit price, tax (yes/no), and totals. When you choose an item from the drop-down box, the spreadsheet will automatically populate the fields for item # and unit price. 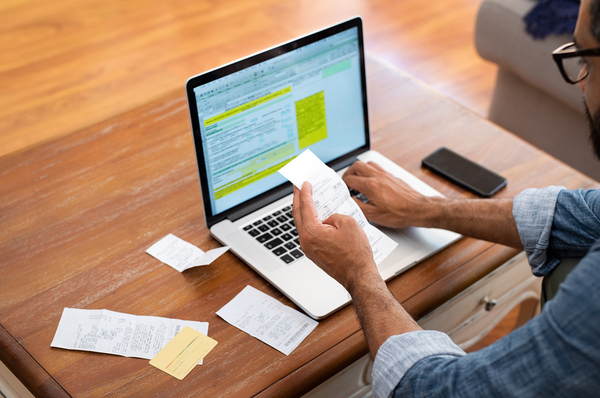 Your business might need detailed sales receipts for its records, but these receipt templates can also be sent to customers to show “paid” accounts. 54. Microsoft Office has a simple and attractive free sales receipt template for Excel. 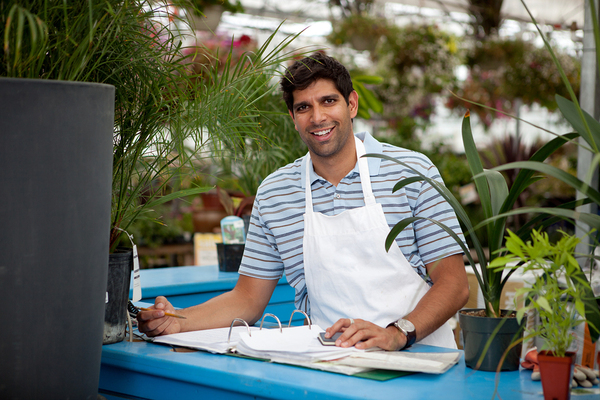 You can provide details about a product or service transaction including taxes collected. 55. Smartsheet offers a sales receipt template for Excel that is free. It is similar to the billing statement but has sections to enter a check or money order number to mark payment. 57. The free cash receipt template from Spreadsheet123 is a series of receipt slips that you can fill out to define payments from customers. These free Excel invoice templates provide a simple way to send professional-looking invoices to clients. But, maybe you need something more or have run into an issue with customizations. Whether you require something unique or need help troubleshooting formatting or a formula, Excel Chat can provide problem-specific solutions right now. Our Excel experts are standing by to provide you with one on one assistance 24 hours a day. Just tell us about your issue, and we’ll make sure that you get the help you need. Your first session is always free.